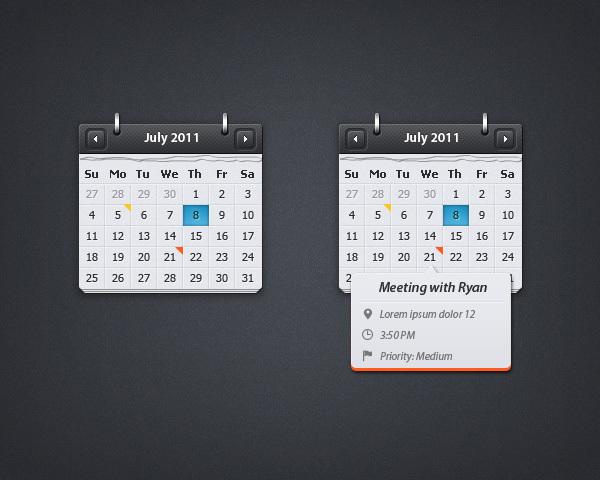 Among the high-end graphical user interface (GUI) elements, calendar is another important entry. 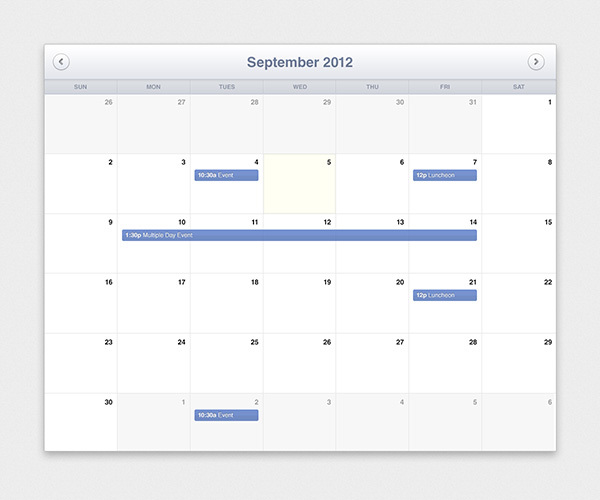 If you are working on a site that requires calendar GUI, consider exploring Pretty Little Calendar (PSD). It’s free. Calendars are required in real world where everyone has to keep track of his / her time so that crucial meetings, events, bookings and other interesting happenings can be attended. These are, however, also needed in the virtual world of internet where people spend a large portion of their time nowadays. There are some people who use this virtual world to make money and others to increase their popularity. For these and other such people, keeping a tab on dates is most essential. Owing to this, web designers have started installing calendar GUI in the website. 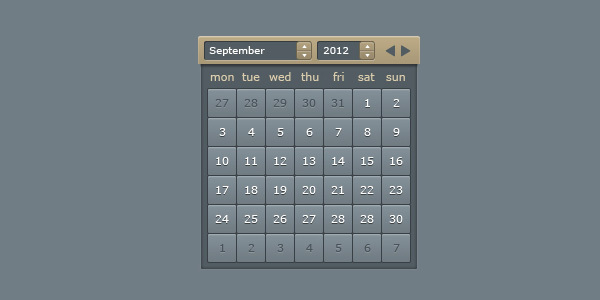 Since this GUI is very much in demand today, some designers offer ready-made calendars to use in websites either free or at some cost. Why Use Pretty Little Calendar (PSD)? This particular calendar template has simple yet beautiful designs. You can use this calendar as is or modify it based on your needs. Since it is created in PSD format, you will not face any problem while downloading. It can be used without incurring any cost.